Professor William Willis Jr. speaks at Freshman Orientation. MacIvor Reddie can also be seen seated in the front row of the Auditorium. 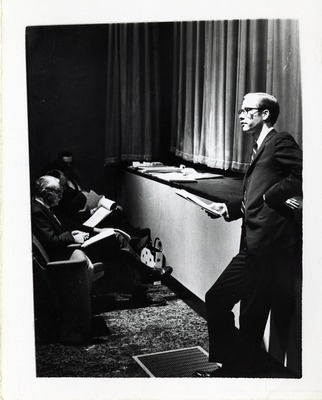 This photo is part of the Events and Exhibitions 1960s collection of the Art Institute of Boston archive.